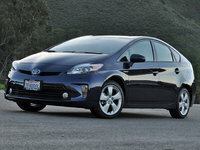 CarGurus has 1,046 nationwide Prius v listings starting at $5,695. For 2015, Toyota’s Prius v hybrid wagon gets a new, more distinctive look, a brand new trim, and some added room in a cabin that’s both practical and appealing, with cargo-carrying capacity remaining an acceptable 67.3 cubic feet. Additionally, this 5-passenger 5-door gas/electric family car also gets some subtle tweaks to standard and available equipment. 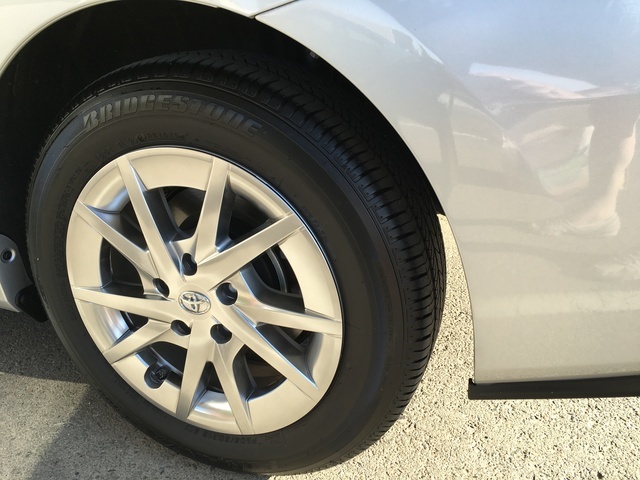 A heftier offshoot of the legendary Prius Hybrid, which debuted on the world stage in 2001, the bulkier Prius v has been around since the 2012 model year and, as mentioned, is offered in 4 trims for 2015, the base Two, the lower midlevel Three, the just-introduced Four, and the top-shelf Five. 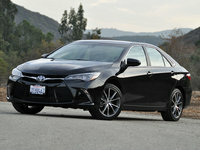 A tweaked front fascia, meanwhile, complemented by new headlight and taillight designs gives this heftier hybrid a more athletic appearance and further distinguishes it from its traditional Prius Hatchback sibling. Power for this year’s Prius v offerings remains a 1.8-liter hybrid inline 4-cylinder gasoline engine mated with a pair of 60-kilowatt electric motors, while the ubiquitous continuously variable transmission (CVT) again manages a total of 134 hp and 153 lb-ft of torque. The standard 201.6-volt sealed Nickel-Metal hydride battery is recharged via both regenerative braking and by the I4, while a quartet of selectable driving modes, including Normal, Power, Eco, and EV, allows drivers to adjust their cruise to terrain and traffic. As for the good stuff, the 2015 Prius v returns with EPA-estimated mileage numbers of 44 mpg city/40 highway, placing it among the fuel-efficiency leaders in its class. Standard appearance stuff in lower Prius v trims for 2015 includes 16-inch alloy wheels, heated power-adjustable mirrors, and a rear spoiler, while the capacious cabin offers cloth upholstery, a fold-down front-passenger seatback, reclining rear seats, and full power accessories. Also found inside this world-class wagon are such standard amenities as cruise control, telescoping tilt-wheel steering, climate control, and Bluetooth hands-free calling. Higher trims also throw in a standard rear-view camera and Entune infotainment and voice recognition interfaced with smartphone-connected apps. Standard entertainment in the base Two trim is offered through a single-CD player boasting 6 speakers and a USB port, while higher trims add standard HD satellite radio to the list. Also adorning higher trims, including the new Prius v Four, are such standard extras as a power-adjustable driver’s seat, heated front seats, and an auto-dimming rear-view mirror. Meanwhile, the flagship Prius v Five trim returns with standard 17-inch alloy wheels and for this year boasts LED headlights. Options include remote engine start in all trims, while higher trims can be equipped with an available power-opening panoramic moonroof. Furthermore, the Prius v Five variant remains eligible for an Advanced Technology package that offers GPS navigation and a JBL premium audio system with 8 speakers and a 6.1-inch display. Safety-wise, standard equipment aboard all 2015 Prius v iterations includes Toyota’s Star Safety System featuring 4-wheel antilock brakes (ABS), front side-mounted airbags, front and rear head curtain airbags and daytime running lights, with the high-end Five variant, meantime, sporting standard front fog/driving lights. Finally, optional safety stuff, lineup-wide, includes a VIP Security System, while auto high-beam headlights and lane-departure warnings have been added to the Five trim’s available Advanced Technology package for this year. What's your take on the 2015 Toyota Prius v? Users ranked 2015 Toyota Prius v against other cars which they drove/owned. Each ranking was based on 9 categories. Here is the summary of top rankings. 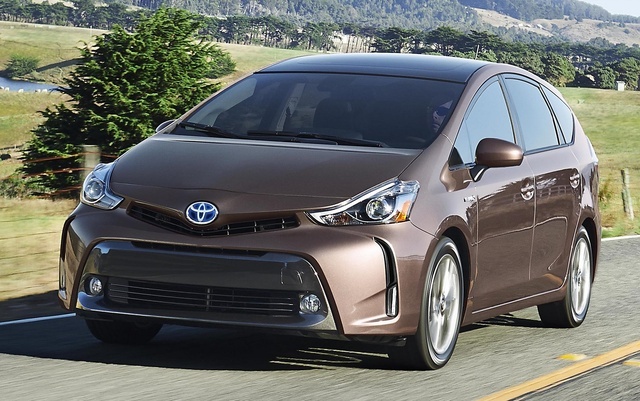 Have you driven a 2015 Toyota Prius v? I've tried a few times to reach the seller with no response. Can you tell me if the car is no longer available?